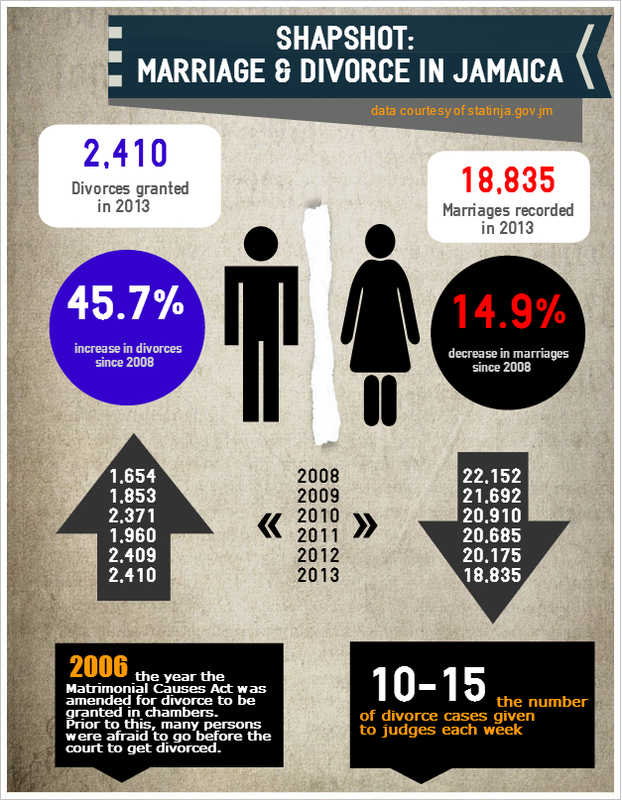 This week’s Sunday Gleaner lead story shared some facts and figures that may have come as a surprise to some people: Jamaica’s divorce rate has increased while its marriage rate is decreasing. This hasn’t really shocked us over here at diGJamaica, as we have made an interesting observation, too: our post on how to obtain a divorce in Jamaica has been in the top five most viewed pages on the website for the past two years. In fact, there are many weeks when it receives the most hits on the site. We are claiming no responsibility for any of the 600 divorce petitions currently before the Supreme Court, though! Click here to read the Matrimonial Causes Act.